Hi, I’m sorry to ask this question but it’s the first time for me to take part and I signed up pretty early. Did you send out confirmations? Because I didn’t get one and since I can’t find the blogroll I’m kinda confused. So happy it finally begins! I didn’t get one either- but that seem’s to be the 2014 blogroll? So if you didn’t do it last year I guess you won’t be on it? No, we didn’t send out confirmations. If you signed up, you are good to go! We are just a little group of volunteers this year, trying to keep all the engines running. The 2015 blogroll should be up quite soon. Thank you! 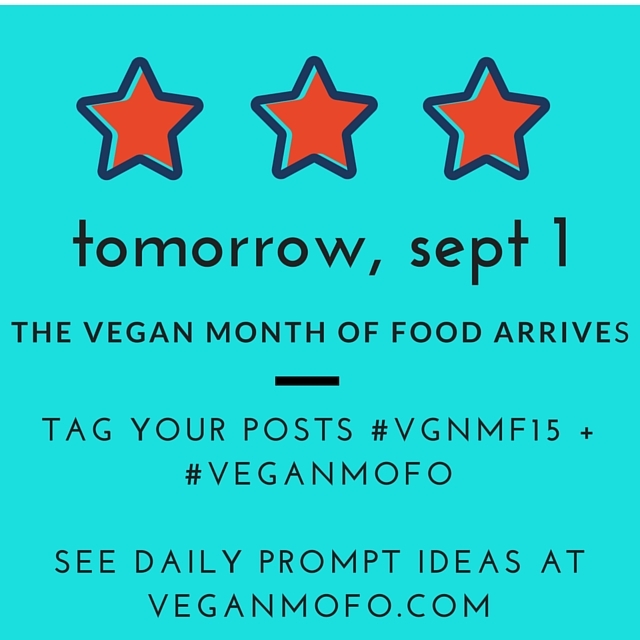 http://blissfulyogajourney.blogspot.com/2015/09/2015-vegan-mofo-visitors-commenters.html in case you are interested…thanks! Here you go! At last! I didn’t see that. I hope it’ll be added to the sidebar in place of the 2014 lists. Is there a randomofo.com site that works with the 2015 list? Ditto here. Where can we access the 2015 blogroll? yes, it’s coming soon! sorry for the delay! Just wondering if you were going to have a 2015 blog roll? I can only find the 2014 one, and I would love a list of participating bloggers so I can read posts and discover new blogs! If you’re on twitter and you’re missing, please give me a tweet @degroenekeuken ! In case anyone was interested I’m building an off season blog roll for those who want to keep in touch! Visit http://MyBlissfulJourney.com for more info and to sign up! I also have a link-up for October and hope to do them monthly! Vegan MoFo…I miss you already!!!! This may have been the BEST ONE YET! Thanks to the organizers for EVERYTHING! Well After some time reading your write-ups one at a time, I’ve nil to say until just what a marvelous work on recipe. Actually, I must learn how to create good post from you. Will there be a Vegan MoFo for 2016???? Watch this space, Jennifer! 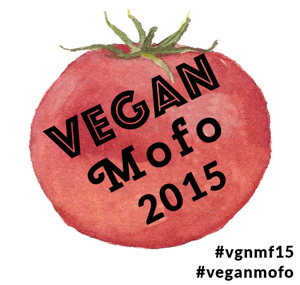 Vegan MoFo will be in November this year and we’re going to put up an announcement very soon!